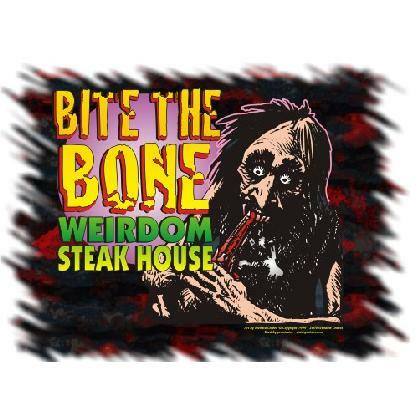 Like some real weirdness on your chest? Well, you just found it with this totally strange early illustration (circa 1969) by one of the leading comic artist's of all time... Richard Corben (Heavy Metal, Creepy & Eerie fame). 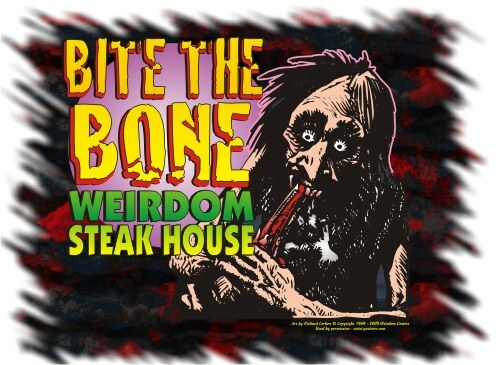 "Bite The Bone" Weirdom Steak House. This is guaranteed to gross out your vegetarian friends! High resolution full color, printed on the front of a quality name brand. T-shirt.